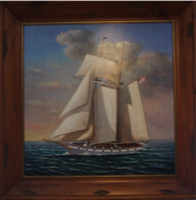 Antique Prints has been providing high quality picture framing for over 20 years. We care about your items. 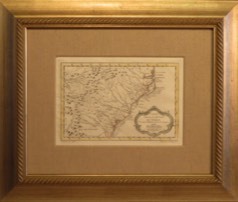 We strive to make sure our customers are completely satisfied in every aspect of thier framing project. Whether it is a small post card or a large project with many different needs, we can provide a great solution. We have helped many local businesses accomplish their goals as well as thousands of other happy customers, some which drive long distances to work with us. Just a note to express my deepest gratitude for your extra concern that I receive my panting on time. …It is so rare to find such kind and concerned people in the business world these days. The framing looked great and all my friends loved it. So again, I want to say thank you so much!"